Most telling was a tweet late Saturday afternoon from Jake Heaps, a former Skyline High standout who not only was a teammate of Wilson’s with the Seahawks for parts of two seasons but is now a coach at Wilson’s RWQBAcademy. Another indication of some potential progress came Friday night in a report from Ian Rapoport of the NFL Network that “there’s been a little movement. They are working on it. Still too early to tell whether or not a deal gets done (by Monday).” Rapoport’s report came a few hours after Wilson cryptically tweeted “Just the Beginning. The Best is Ahead” with a praying hands emoji. Wilson’s deal runs through the 2019 season and pays him a base salary of $17 million in 2019 with a salary-cap hit of $25.286 million as part of a four-year, $87.6 million contract signed on July 31, 2015. The Seattle Times first reported the existence of a deadline April 2. Wilson set Monday as the deadline because it is the first day of the Seahawks’ official offseason workout program. Wilson’s current contract made him the second-highest paid player at the time it was signed, averaging $21.9 million per season. He was behind only the $22 million of Green Bay quarterback Aaron Rodgers. 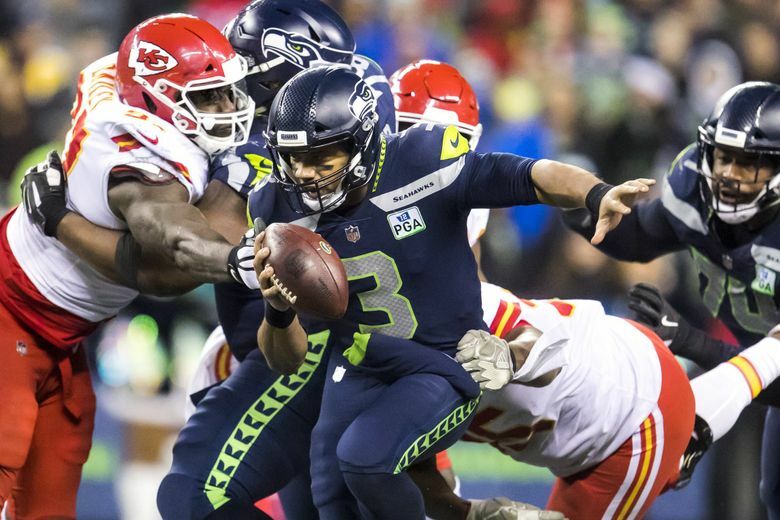 Those deals — if the Seahawks used the tag each year — would total roughly $67 million, and along with the $17 million Wilson is owed in 2019, the thought is any discussion of any new deal would have to include guarantees more than that total of $84 million. That’s a precedent the Seahawks might have to break to get a deal done with Wilson. As for years, Wilson might want a shorter-term deal to potentially hit free agency when he is 34 or 35. It’s unclear how long the Seahawks might want to go with a deal considering coach Pete Carroll has only three more years on his. If the deadline passes, the thought is Wilson will not negotiate again until after the 2019 season. It’s not believed Wilson would hold out or skip any of the team’s offseason program, which is technically voluntary.